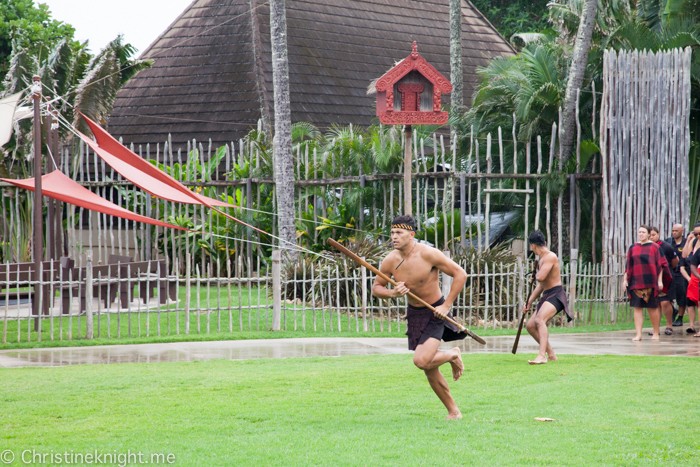 Top Tips For Visiting The Polynesian Cultural Center - Adventure, baby! 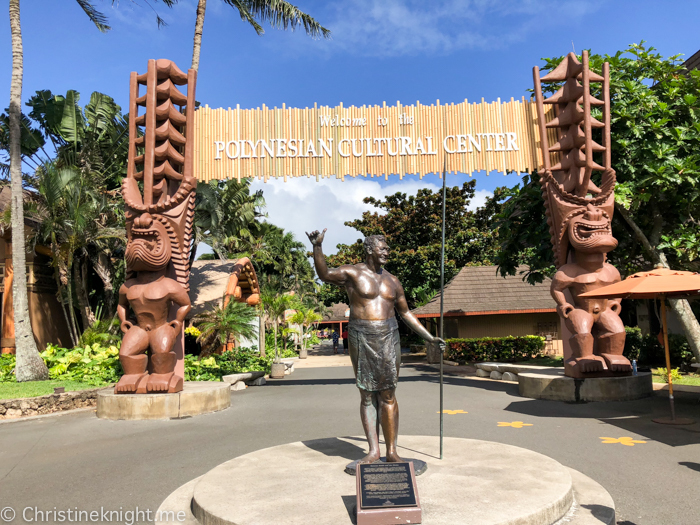 When visiting Hawaii, the Polynesian Cultural Center, located on the northern shore of Oahu, is a must-see to fully experience the cultural diversity of the Pacific Island community. 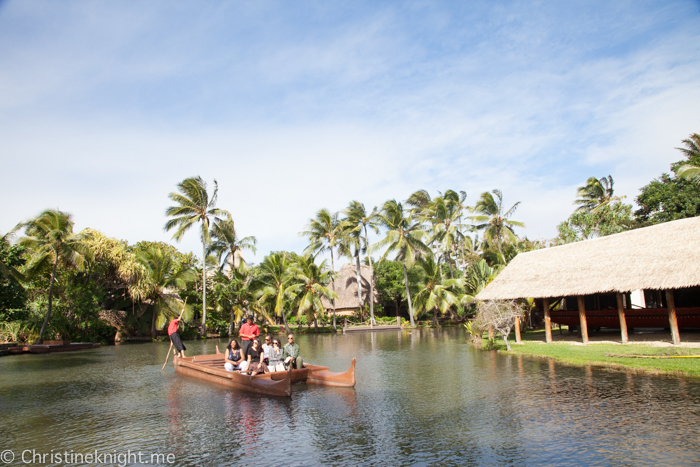 The Polynesian Cultural Center (PCC) is a Polynesian-themed theme park and living museum, featuring six Pacific Island villages, exhibits and activities. 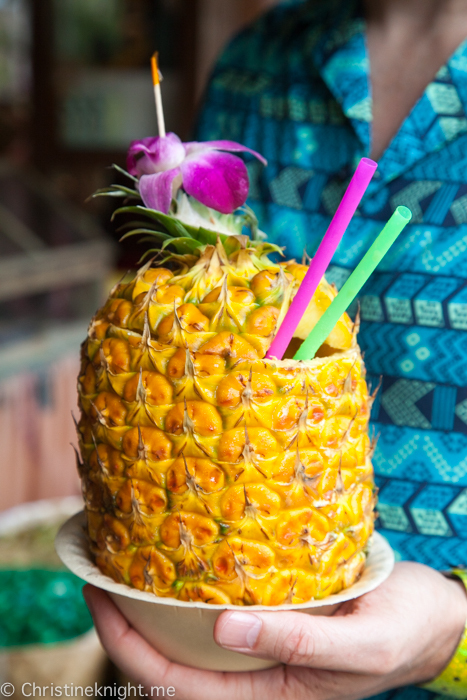 The PCC offers an authentic luau dining experience and award-winning evening show “Hā: Breath of Life”, making it an all-day educational and entertaining experience that is perfectly suited for the entire family. 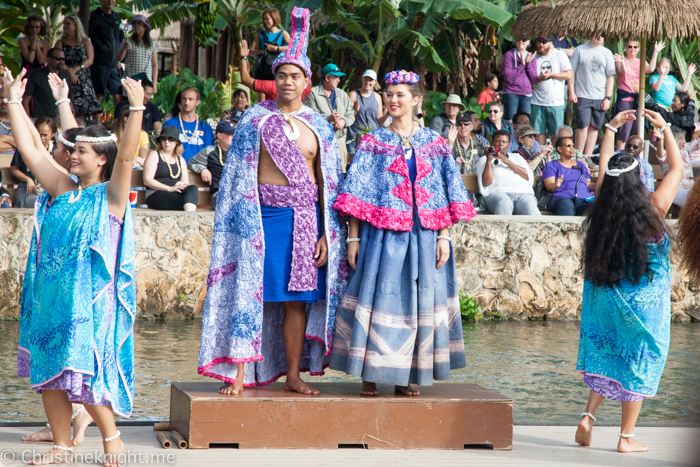 Set on 42 acres, tThe six island villages representing the unique island cultures of Hawaii, Fiji, Aotearoa (New Zealand), Samoa, Tahiti, and Tonga, tied together by a vibrant daily Canoe Pageant. 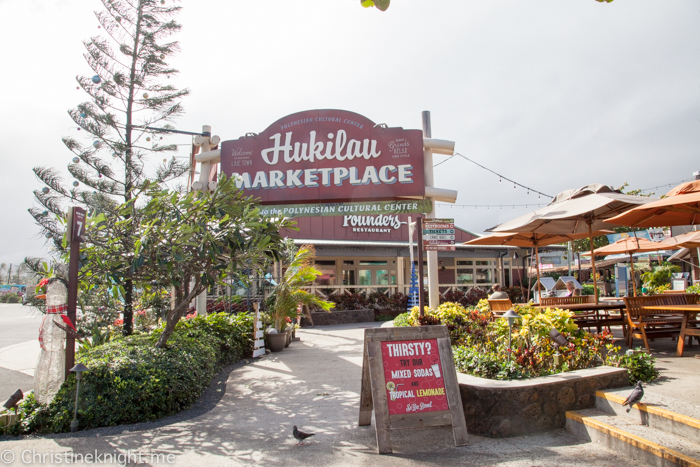 The Hukilau Marketplace is located outside the PCC and is packed with food stalls and souvenir stands. 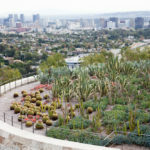 It opens at 11am and is free to enter – and the parking is free, too. 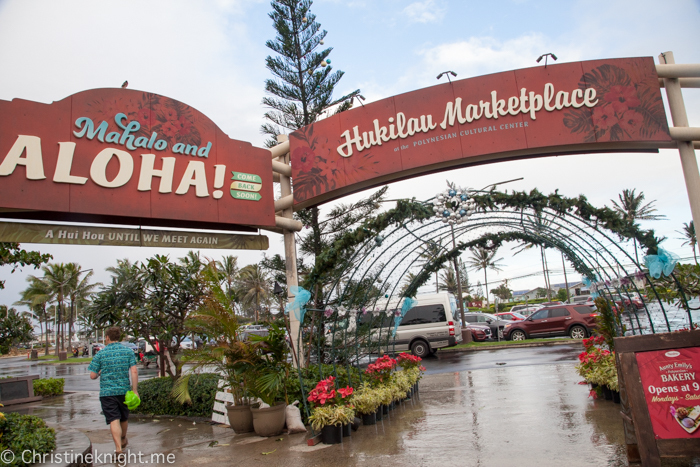 Inside the PCC the food options are snack stands or the luaus, so if you need proper food and aren’t doing a luau or want lunch, the Hukilau Marketplace is your best bet. 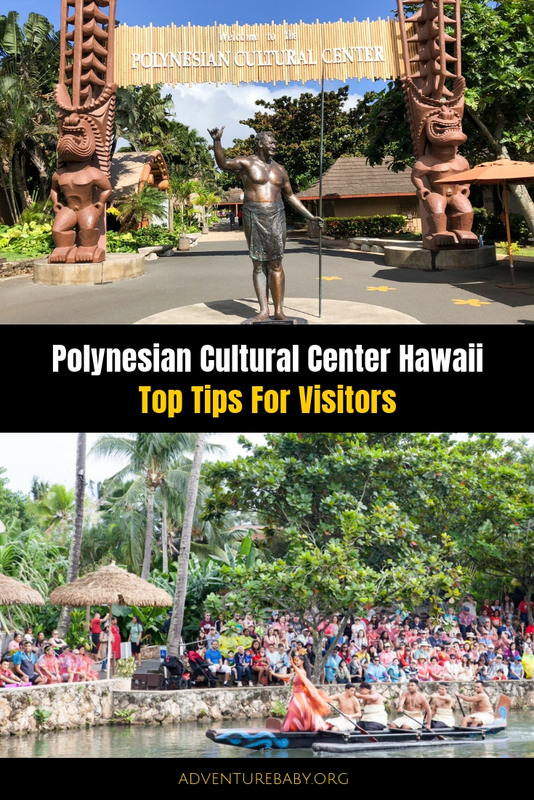 The PCC opens at 12pm but most people arrive a few hours later, which makes it hard to fit in all the activities. 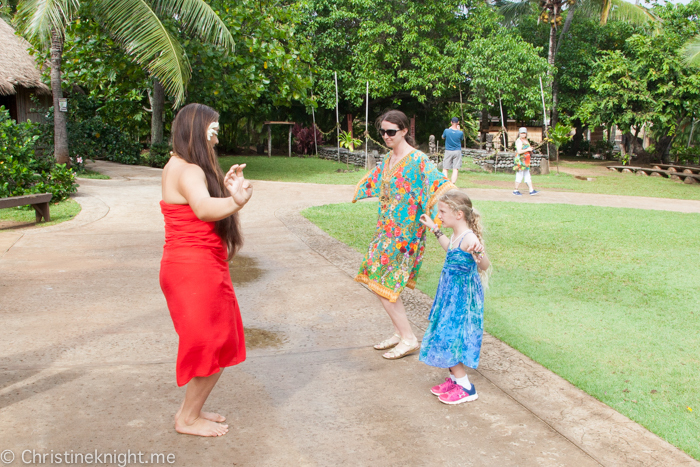 Arriving at 12pm not only means that you have enough time to experience everything, but also that the first few hours are free of crowds. 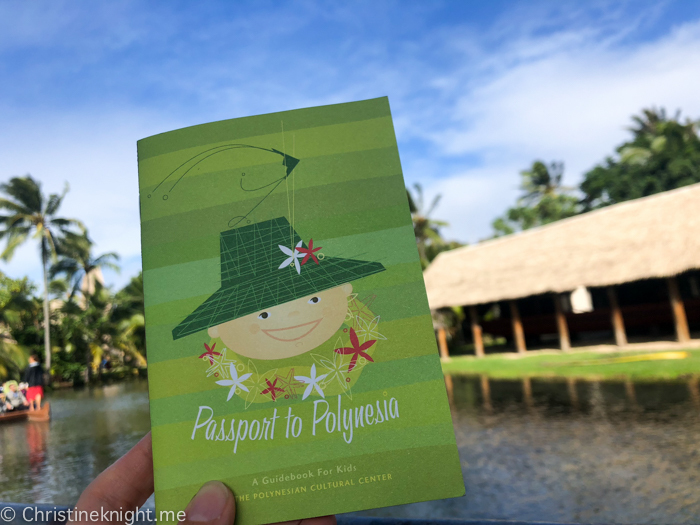 A great way to engage kids, the free Passport to Polynesia is a guidebook to the PCC aimed at little ones. If you’re a planner and organiser like me, looking at the very detailed schedule of events at the PCC is likely to cause a panic attack. 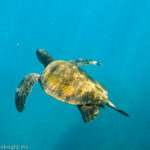 Take a few deep breaths and head around the villages in some kind of order, knowing you will see a lot but not everything, and be ok with that. 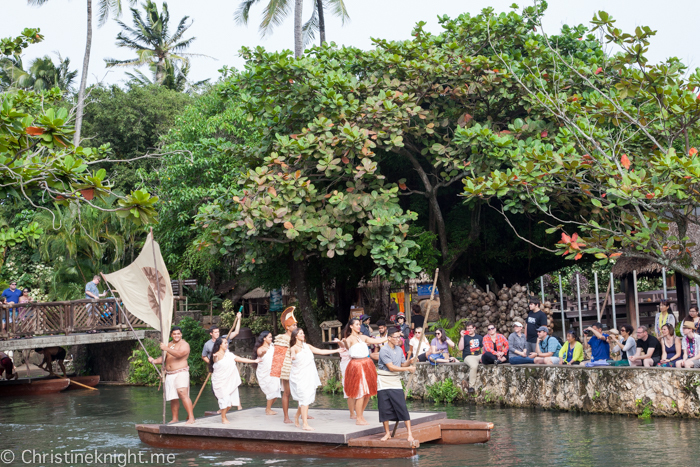 Each village alternates a show with activities. 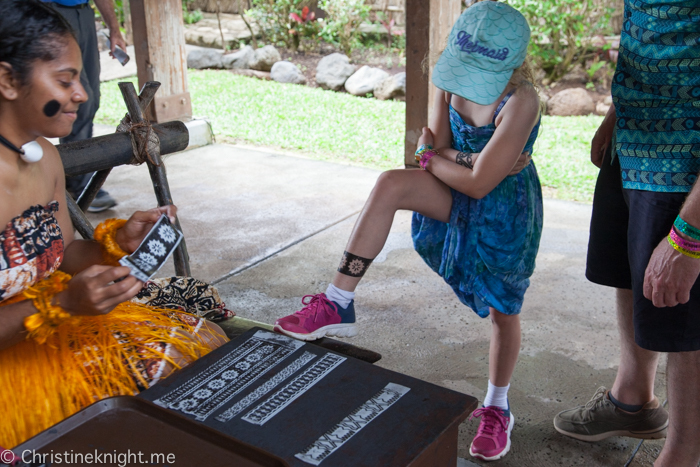 We found that you can participate in the activities after the shows, so timed our visits to each village in time to see the shows and then do a quick activity or two before heading to the next. 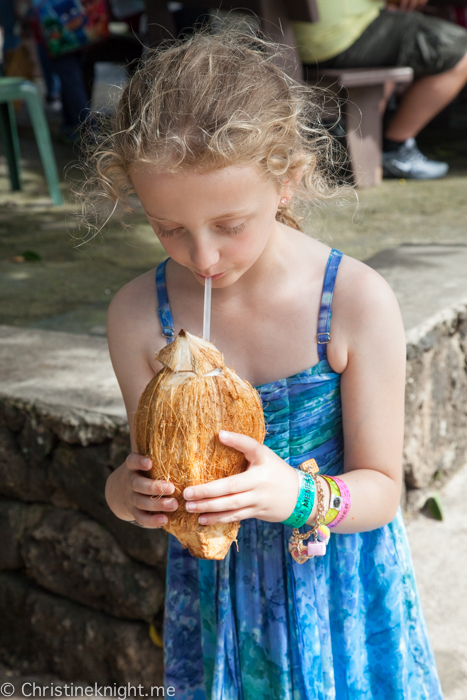 The villages are open from 12-5:30pm. 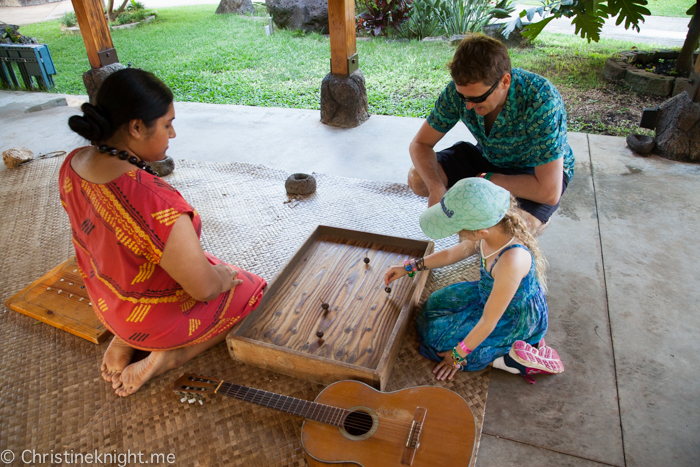 The real fun at the PCC is trying your hand at traditional activities such as throwing a spear or learn to cook in an umu (Samoan aboveground oven). 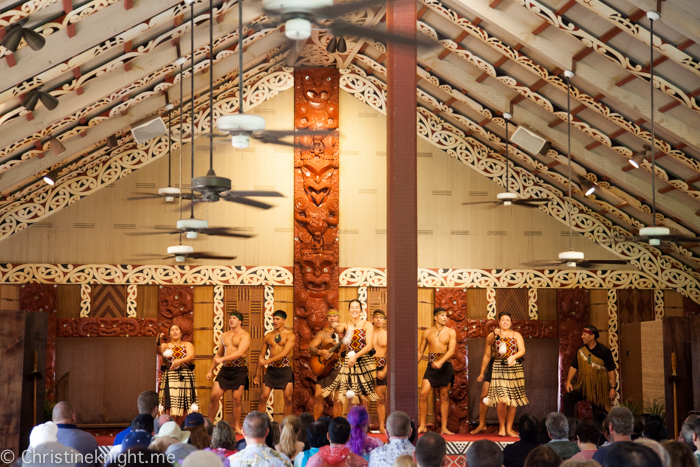 We particularly loved learning the Tahitian dance, twirling poi balls and sampling the incredible Tahitian coconut bread. 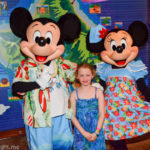 It was so good we went back twice. 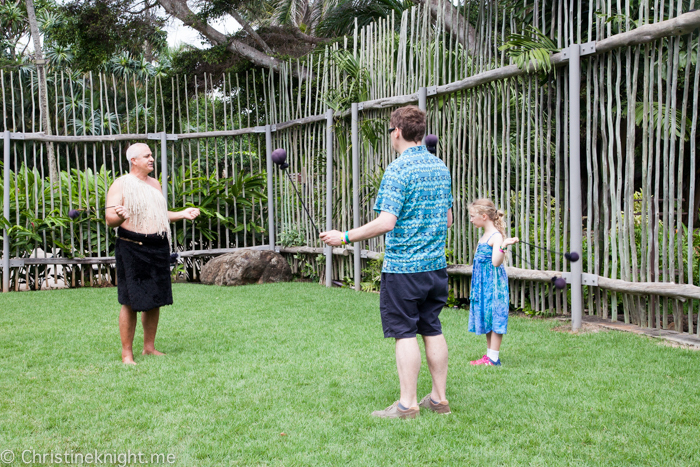 The “Go Native” experiences let guests try traditional Polynesian aspects of daily life, including games, crafts, cooking and ceremonies. 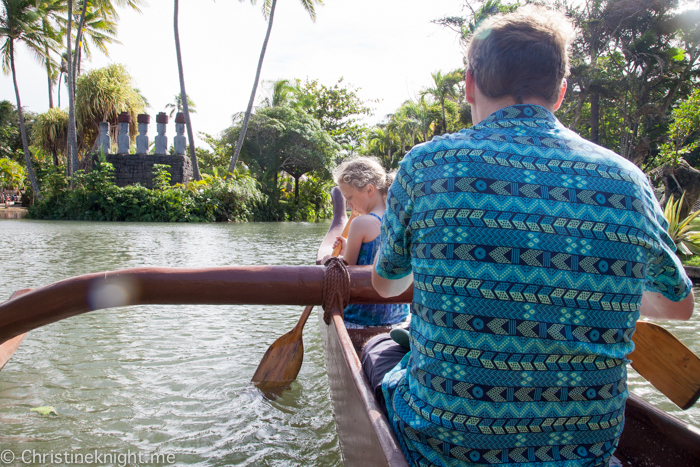 The canoe ride is included in entry and goes from one end of the PCC to the other. 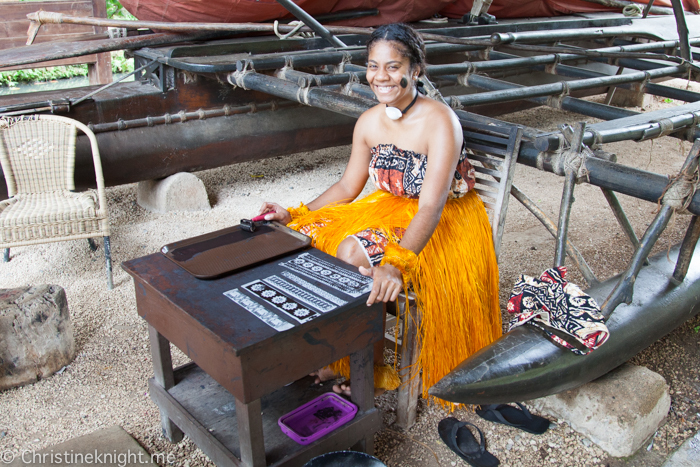 You can also paddle your own canoe at the Tongan village. Canoe rides are available from 12-5:30pm. 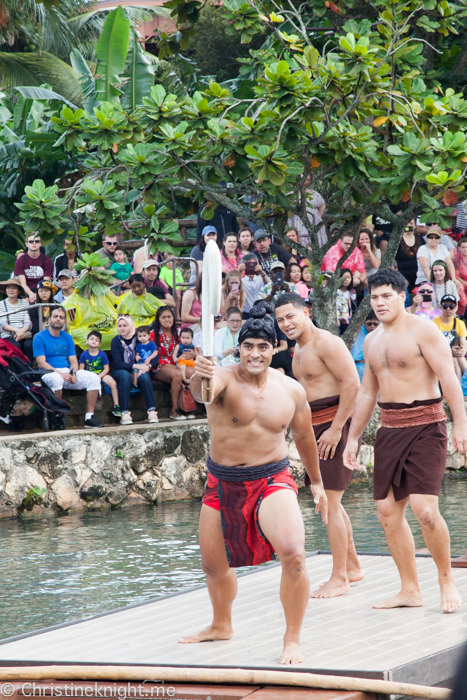 The canoe pageant, which runs daily from 2:30-3pm was a highlight for us. 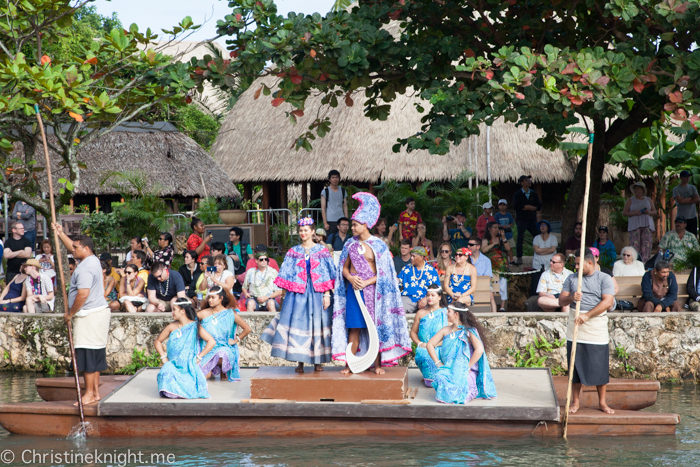 The show is filled with dancing and storytelling, with the cast in incredible traditional dress. We were absolutely wow’d. Note: go to the platform seating area at least 15/20mins ahead of the pageant as otherwise you could struggle to find a seat. 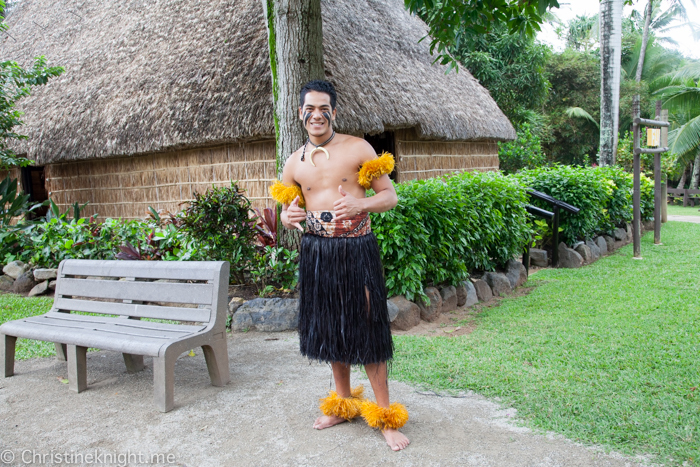 We highly enjoyed chatting with all of the amazing people who staff the PCC island villages. 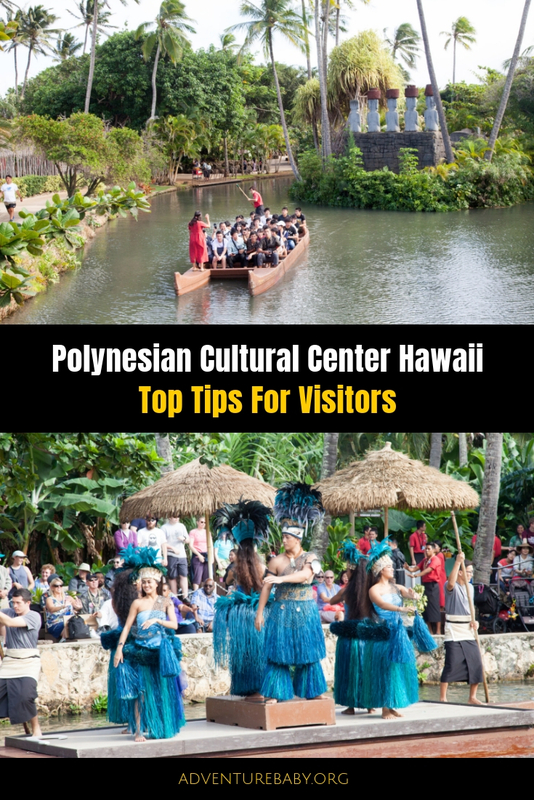 Many are students from the islands who are studying at the university next door and perform at the PCC as part of an exchange program. 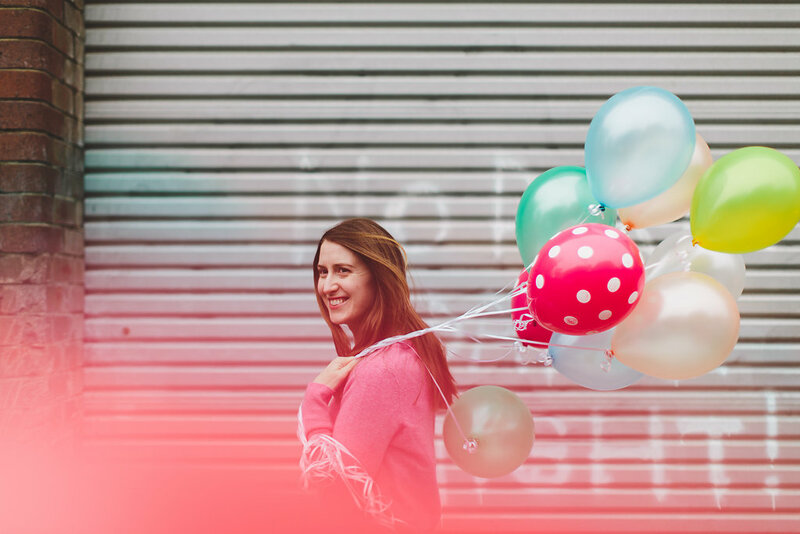 It can be hot, cold or raining, and the show will go on. Bring a hat, plenty of water and sunscreen and a poncho/umbrella if it looks even slightly like rain. 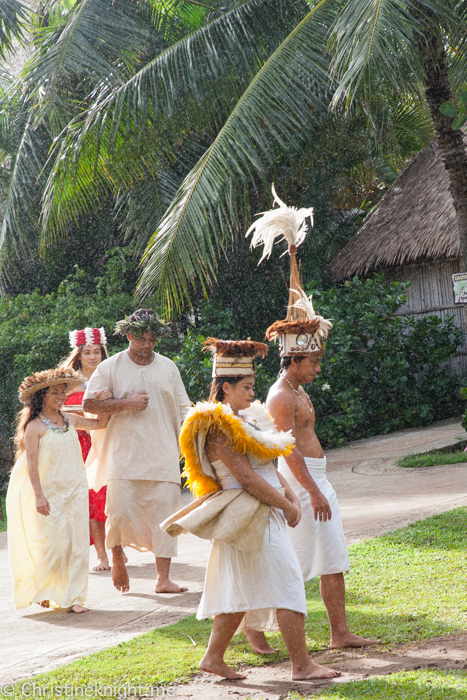 Another highlight for us was watching the traditional Tahitian wedding ceremony that is on during the afternoons. 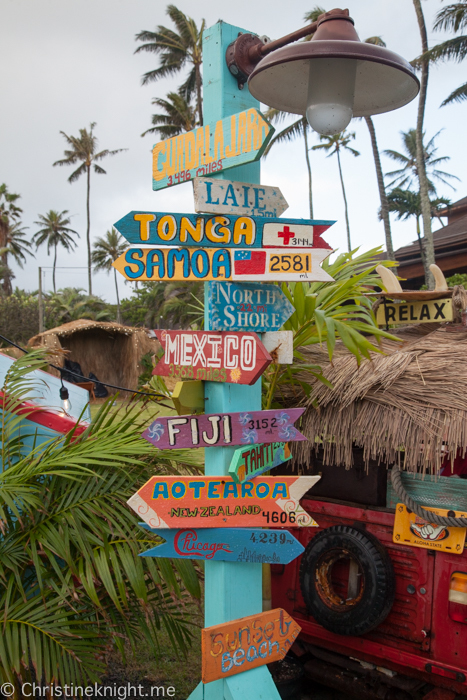 There are three luaus to choose from. 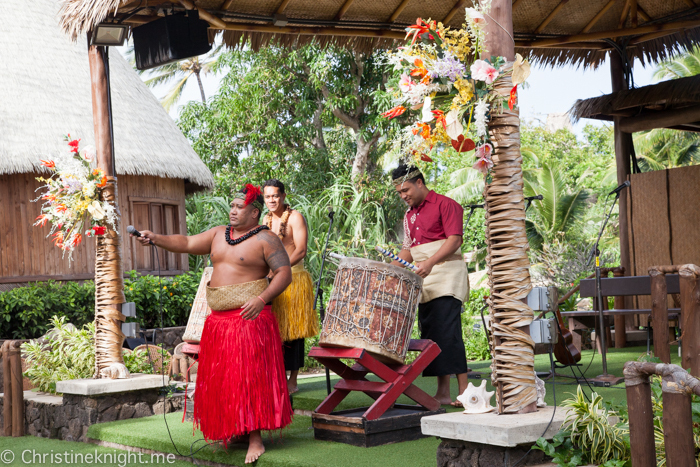 The Ali’i Luau features traditional Polynesian food and entertainment. 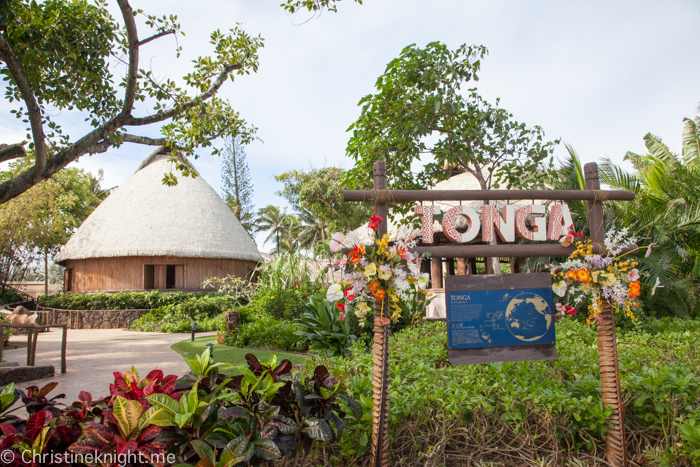 Other options include the Prime Rib Buffet, with fine dining in a casual atmosphere, and the Island Buffet, which is served in a dining hall reflecting the islands of the Pacific. 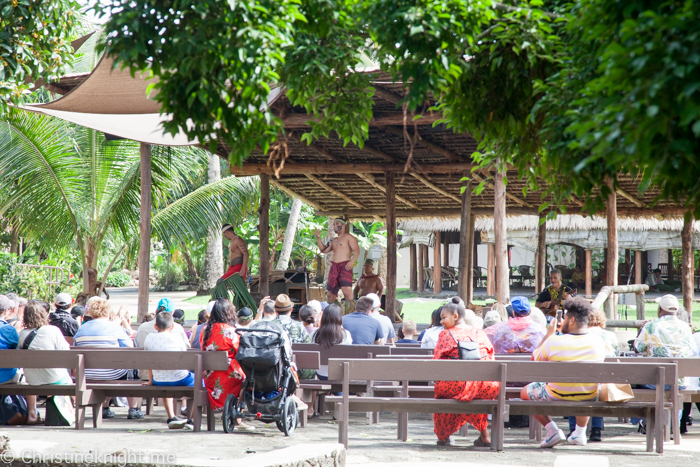 The PCC day finishes with the spectacular live show “Ha: Breath of Life”, featuring over 100 performers and Samoan fireknife dancing. 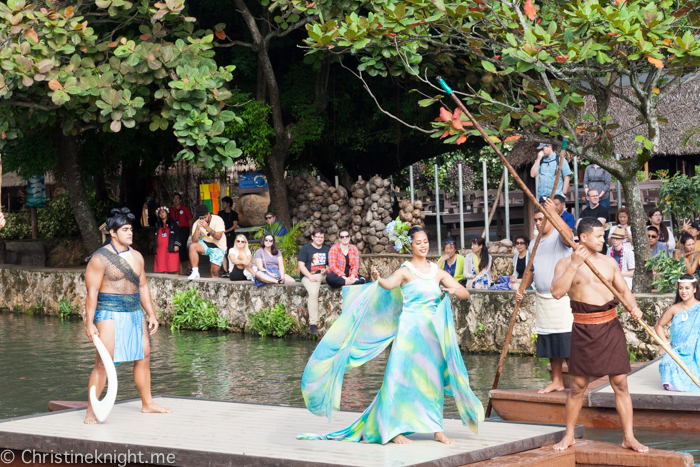 “HA:Breath of Life” Show runs from 7:30pm-9pm, with seating commencing at 7pm. 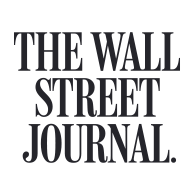 All seats are reserved and advance reservations are highly recommended as this is a very popular show. 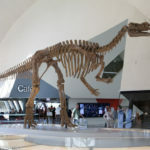 Hours: Monday – Saturday (closed Sunday), 11:45am -9:30pm. 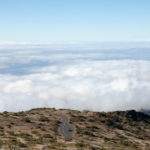 Looking for more things to do on Oahu? 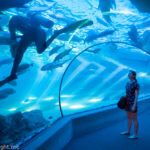 This list of free activities and attractions will help. 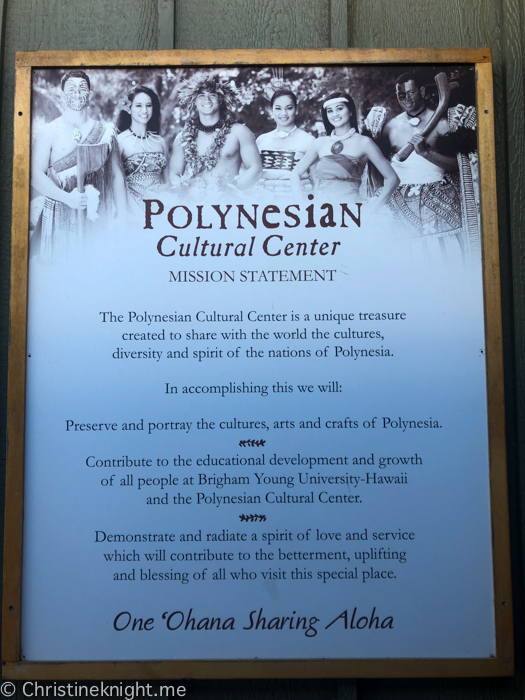 We were hosted at the PCC. All opinions are our own.